- OVW Super Summer Sizzler Series (June 4, '04) = Big Bad John, Seth Skyfire, & Mac Johnson defeated Carlos Colon, Mike Mondo, & Da Beast. - OVW Super Summer Sizzler Series (June 18, '04) = Big Bad John took down Johnny Nitro. - OVW Super Summer Sizzler Series (July 23, '04) = Big Bad John beat Mike Bell. - OVW Super Summer Sizzler Series (August 13, '04) = Big Bad John lost a "No Disqualification" Match to the OVW Heavyweight Champ, Matt Morgan. 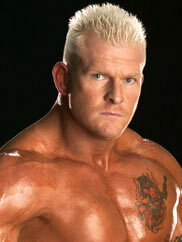 - WWE Armageddon '03 (December 14) = In a dark match, Heidenreich was beaten by Rico. - WWE Survivor Series '04 (November 14, '04) = Heidenreich fell to the Undertaker. - WWE Royal Rumble '05 (January 30) = Heidenreich lost a "Casket" Match to the Undertaker. - WWE No Way Out '05 (February 20) = Heidenreich lost, via DQ, to Booker T.
- WWE Wrestlemania 21 (April 3, '05) = In a dark match, Heidenreich competed in a "Smackdown vs. Raw Battle Royal", which was won by Booker T.
- WWE Judgment Day '05 (May 22, '05) = Heidenreich lost to the United States Champion, Orlando Jordan. 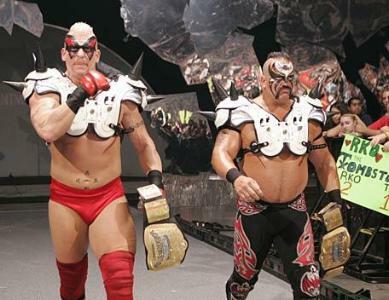 - WWE Great American Bash '05 (July 24) = The Legion of Doom 2005 (Heidenreich & Animal) won the Smackdown World Tag-Team Titles from M-N-M.
- WWE No Mercy '05 (October 9) = The Legion of Doom 2005 & Christy Hemme defeated M-N-M & Melina.